Paradise Found offers comfortable 3 Star B&B or Self-catering accommodation with an incredible view overlooking the Knysna Lagoon. All units are private with their own entrances. Ideal for honeymoon, photographic opportunities and bird watching. 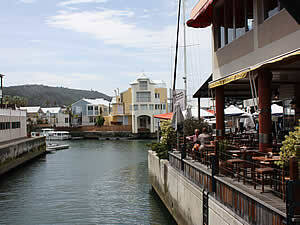 Knysna is one of the Southern Cape coast's best known holiday destinations, situated between lush forests and the shores of the peaceful lagoon - it offers many activities and attractions of a wide variety. The most well known attraction being the heads - two great sandstone cliffs guarding the mouth of the lagoon which connects the estuary with the sea. 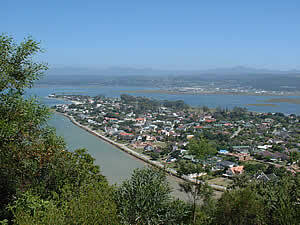 A lookout has been erected on the Eastern Head, commanding spectacular views of the lagoon, Leisure Isle and Knysna. 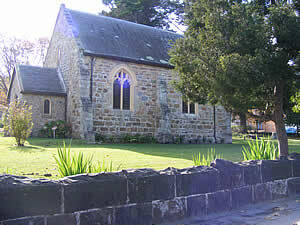 The Western Head is a privately owned nature Reserve - Featherbed Bay. 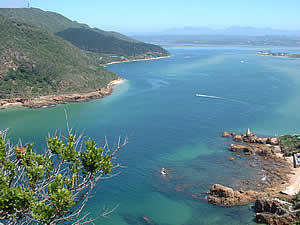 Knysna Lagoon is one of the few places along the coast and in the world that supports a oyster hatchery. And the Knysna oysters are reputedly among the tastiest in the world. Millwood House Museum in Queen Street houses material relating to the history of the town, and includes artifacts once owned by George Rex. It was built from yellowwood at the end of the previous century during the gold rush. 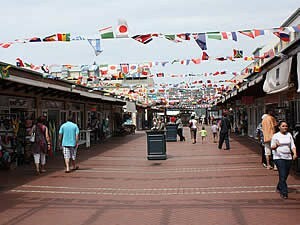 From Millwood, it was later moved to Knysna. 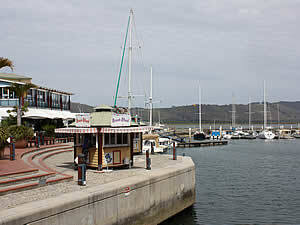 As befits such a popular destination, Knysna offers an abundance of guest house, B&B and self catering accommodation.